Autum Dooley was born in Las Vegas, NV, but grew up on the South side of Des Monies. Now living in Urbandale with her husband and their dogs and cats. She loves the Urbandale area and plans on staying put for years to come. 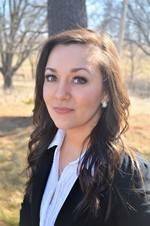 Autum went to Iowa State University majoring in Veterinary Medicine with a minor in Equine Management. After graduating Autum worked as a Veterinary Technician until she realized her love for real estate through the process of buying her first home with her husband in 2014. She still keeps her love for animals in her life as a volunteer for the Animal Rescue League of Iowa, Neal Smith Wildlife Refuge and Des Moines Parks and Recreation to keep her community safe, clean and enjoyable for families and their pets. Home sellers have worked hard to put money in their house to make it a home and Autum feels that they should get back what they put in. She loves the fact that behind the walls of every home is the best memories people will make over their lifetime and knows that it’s one of the biggest investments someone will make. She works hard to make sure that this process is enjoyable and exciting by being there with her clients every step of the way.